In just three pitches, Little John, Right Side, takes you through a variety of climbing techniques. A awkward and featured first pitch is followed by thin and polished moves on Pitch 2. 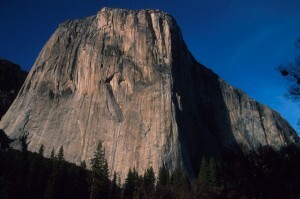 A steep hand crack on Pitch 3 leads to a large and comfy ledge. Which SuperTopo guidebooks include a topo for Little John, Right Side?